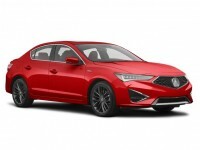 When you’re in the market for a great Acura lease, you want to make sure that the leasing agent you select has the lowest monthly leasing rates and the best vehicle selection possible. What’s more, it’s best if you can find an agent whose leasing process is as simple as it can be. If you’ve been shopping around other leasing agencies and come up blank, then why not give Auto Leasing NJ a try? We guarantee that we’ll have the best prices on the Acura car lease that you most want, and that you’ll be able to find the vehicle that you’re looking for in the color and with the factory options that you desire! This includes the ILX Sedan and Hybrid, the TSX Sport Wagon and Sedan, the RDX SUV and the NSX Coupe! What’s more, our all-online leasing system makes it supremely easy and convenient to lease an Acura automobile, because it’s all done entirely online! No more car lots, no more pushy salespeople, and no more reams of paperwork to fill out before you can even get a credit approval, let alone lease the vehicle you want. Come see how Auto Leasing NJ is transforming the world of Acura auto leasing! To get started, visit our Acura inventory page at left, or call us directly at 609-830-0066 to find out about the specific Acura automobile that you want! Nobody Can Beat Auto Leasing NJ for Acura Prices and Selection — Guaranteed! 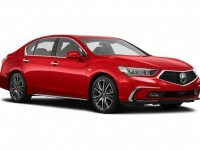 When we claim that Auto Leasing NJ has the best selection and prices on Acura automobiles in the entire state of New Jersey, it’s not just an idle boast. We can say this with pride, because nobody else has our electronic leasing system that lets us shave off overhead down to the absolute minimum! If you think about ordinary automobile leasing agents, there are so many overhead costs that could be reduced or eliminated: first, the leasing agent’s premises themselves. When you have to keep as large a physical inventory of automobiles as possible, that means you also need to have as big a car lot as you can, as well as a showroom for premium vehicles and offices for the sales and management staff. Then there’s the issue of the vehicles themselves — you have to buy a tremendous number of automobiles just to stay competitive — and then update the ones that haven’t been leased with every successive model year! These gigantic costs are largely the reason that other lessors’ leasing rates are so high. But at Auto Leasing NJ, we use our website as a showroom, so that we don’t have to pay monthly rent on a huge parcel of land, and also, rather than having a gargantuan leasing fleet of our own, we instead rely on our partnerships with Acura dealers all throughout New Jersey to provide us with inventory! Since we’ve reduced overhead costs so much, we can offer you much, much lower rates on an Acura car lease than anyone else in the industry! 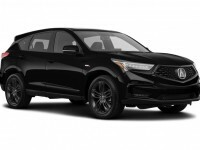 The MDX SUV and the RLX Hybrid and Sedan, as well as the TL and TLX Sedan — they’re all available for lease at Auto Leasing NJ, and our Acura leasing deals are without peer in the Acura auto leasing business! And an Acura auto lease from Auto Leasing NJ is also certain to provide you with the most accommodating financing terms of any leasing company around! 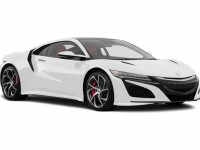 Come see why Acura car leasing from Auto Leasing NJ can’t be surpassed anywhere else! Call us at 609-830-0066, or get started with Acura leasing immediately by visiting our Acura inventory site!